Bits and Bobs from Day 3 at CES: ZTE to launch a Firefox OS powered device this year in Europe! Kogan show off a super cheap 5" smartphone! And one of Apple's guys pops up for the cameras! ZTE set to offer a Firefox OS device in Europe! In an interview with Bloomberg today ZTE's CEO, Cheng Lixin, say that his company was planning to offer a device running Mozilla's HTML5 based operating system, Firefox OS, within the year! It's reported that ZTE is teaming up with an unspecified European wireless carrier to introduce the device. 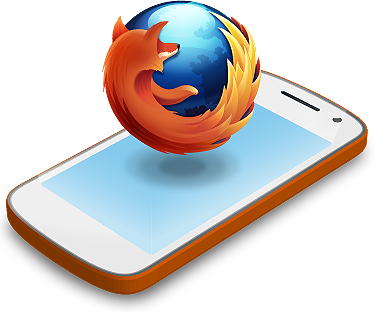 The potential candidates at the moment are Deutsch Telecom (parent company of T-Mobile) and Telefonica (O2's master) because they are key supporters of Mozilla's Firefox OS project. Cheng also said that they are considering branching out into the US, probably depending on how well this upcoming phone sells and what else is brought to the table this year. He said, “We closely monitor the ecosystem and how it evolves... If that is ready and if consumer studies support that data, then we may launch one in U.S. also this year.” A US launch would probably be supported by Sprint, who are also carrier partners of Firefox OS! 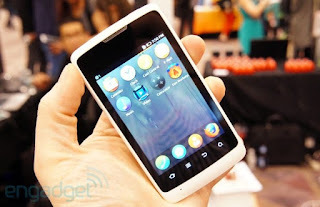 On thing to mention is that Engadget had a little hands on with a phone earlier in the week that was running Firefox OS! The device and picture from Engadget are embedded to the above and to the right. We're very surprised that no one has noticed that this looks surprisingly like ZTE's design language! But, that is not to say that this is going to be released, but it could very well be a test device manufactured by ZTE! 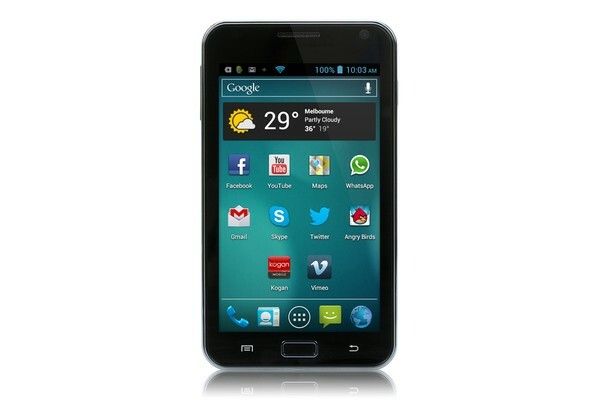 For example it looks very similar to the ZTE N910 crossed with the ZTE Kis! Both of those phones are pictured below! Try to merge them both in your head and you'll see what we're on about! Take the speaker grill from the N910, the capacitive buttons, the white frame and even the microphone hole on the bottom left side! What do you think? Are we onto something here? Bloomberg Via PhoneArena and Engadget. Kogan go after the phablet buyers with an unbelievably cheap offering! Sometimes manufacturers drop something that makes you say wow. Sometimes it's because it's bad, sometimes because it's good, sometimes it's because it's spectacularly good value! This device, the Kogan Agora, is the latter of those options. The Agora 5.0 is a phablet, well it's the same size as the new Xperia Z and the Droid DNA, but it's got a dual-core Cortex A9 processor, 4GB of internal memory and a Micro-SD card slot which can take cards up to 32GB, 512MB of RAM and a 2,000 mAh battery which promises nearly 5 hours of talk time. If you're wondering about the screen, that's a 5" WVGA (480 x 800) LCD panel, which is capacitive and you get a pair of cameras, the front one is 0.3MP and the rear-facer is a 5MP unit. The whole device runs Android 4.0.4 ICS, which is not all that bad really! But, that's not really the story here. The real treat is the price. How much would you expect a dual-sim phone with those specs to cost? £250? £200? £150? No. In fact this thing will set you back £119! That's the same price as a Galaxy Y Pro from Expansys! If you're interested then you can pre-order the device here! It might not be your primary phone but it would be a good back up or a good device for taking on holiday with you! It's also worth bearing in mind that there is a limit of 3 devices per customer, we're not sure why at the moment, but if we find out then we will be sure to let you know! ZTE announce the Grand S! Like many of the other phones which we have seen announced this week ZTE have brought along a new Android device with a quad-core processor, a 5″ display 1080p screen! Despite the similarities it's hard to deny that this one is a looker! ZTE's new Grand S has everything you'd expect of a flagship 2013 device: there's a Qualcomm Snapdragon S4 Pro running at 1.7GHz, a 13 mega-pixel rear and 2MP front-facing camera, the 2GB of RAM should keep this chugging along nicely, 16GB of internal storage, MicroSD card slot and there's LTE compatibility too! Android Jelly Bean will be powering the show along with some 'expert hardware and software safety protection' which will help manage power usage and help keep your information safe, ZTE didn't specify what that was though. Not that that really matters because the real talking point is that they managed to cram all of that hardware into a frame which is 6.9mm thick! That skinniness will go some way to explaining why the battery is a tad disappointing, coming in at 1780mAh. The device will arrive in China for 'online purchases' in Q1 this year. We're not sure whether this device will make it to the rest of the world yet. The press release for this device is available at the bottom of this post! And finally, Apple might not be at CES to give us a presentation, but that hasn't stopped some of their employees going along and having a look around! 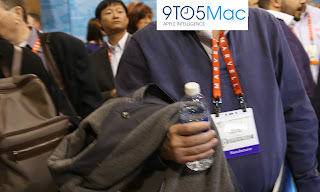 Apple's Craig Keithley has been spotted and snapped on the CES floor by 9-to-5 Mac. Here he is pictured below! LAS VEGAS, N.V. – January 9, 2012 – From the 2013 International Consumer Electronics Show (CES), ZTE Corporation (“ZTE”) (H share stock code: 0763.HK / A share stock code: 000063.SZ), a publicly-listed global provider of telecommunications equipment, network solutions and mobile devices, today announced the world debut of the ZTE Grand S – 5.0 FHD LTE. As the flagship handset in ZTE’s high-end Grand Series line of products, the ZTE Grand S is the company’s first FHD smartphone and the world’s thinnest within 5 inch FHD quad-core smartphones, enabled by the Qualcomm Snapdragon S4 Pro processor, a product of Qualcomm Technologies, Inc., a wholly-owned subsidiary of Qualcomm Incorporated. Developed by ZTE, the ultrathin body and high definition display of the ZTE Grand S offer consumers the latest in style, quality and functionality. From the full-website display which enables optimal content browsing, to the 4G LTE high-speed network which powers a world-class multimedia experience, the ZTE Grand S offers cutting-edge features for even the most discerning smartphone user. The blazingly fast 4G LTE network allows for top-speed downloading and establishes the handset as a premier gaming and movie-viewing portal. Furthermore, the ZTE Grand S offers smartphone photography mavens advanced functions for more vivid self-photography and video calling effects. With face recognition, anti-shake and a panoramic camera, the ZTE Grand S truly presents a high-quality multimedia option for today’s smartphone audience. The introduction of the ZTE Grand S completes the new Grand Series, which also includes the Grand Era and Grand X. In the series, the ZTE Grand X is for consumers with a passion for high tech, the ZTE Grand Era is for the most advanced smartphone user and the ZTE Grand S is the flagship handset offering the perfect combination of art and technology. The ZTE Grand S represents the company’s latest entry in a new era of smartphone design, which will continue in 2013 with the introduction of additional high-end smartphones. The ZTE Grand S was introduced at a special press event at the Las Vegas Convention Center and will remain on display at the ZTE booth (Las Vegas Convention Center, Booth #36612) throughout CES. 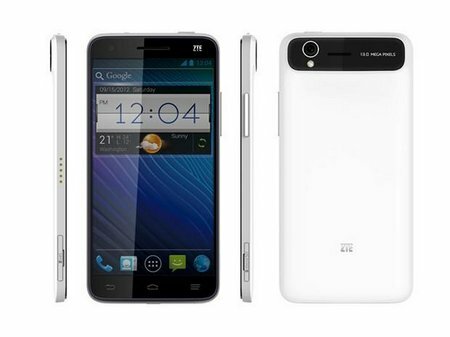 The ZTE Grand S will be available for online purchase in China first in Q1 of 2013.